When I first came to Marquette, everyone who talked to me about the job told me how exciting and incredible Westwood’s run in the MHSAA playoffs was last year. No one had seen it coming, they said. I still can’t believe it happened, others told me. I wish I could have seen it myself, just based on the stories people keep telling me. A year later, Westwood needs lightning to strike twice if they want another magical run. They face off with West Iron County on Wednesday in the opening round of districts, at West Iron County, at 8 p.m. EST. It seems so long ago since these two teams faced off in the first game of the season, before I even got here. The Wykons came out on top 50-41 on December 5th, in case you forgot. Since I arrived in Marquette, I’ve seen this Westwood team develop and consistently get better, and the results eventually reflected that. My first game was an overtime loss at home to Gwinn, when Austin Pierpont hit a crazy game-tying three from the corner. Since then, I’ve seen the Patriots grow in so many ways, taking their lumps along the way. David Delarye has become an absolute force in the paint, exemplifying the “bull in a china shop” metaphor. He was raw in December, and maybe a little out of control at times. But now he’s at the top of scouting reports and the subject of heated timeouts at the beginning of games for opposing coaches. He’s a double-double threat on any given night, and his touch around the hoop has improved immensely. Nathan Beckman has the three C’s you want in a point guard: he’s cool, calm and collected. Even if he doesn’t always light up the scoreboard, which he certainly can do on any given night, he makes the offense flow so much better when he’s on the floor. Ethan Burke is the ultimate glue guy, a scrapper with blazing speed. He wreaks havoc on defense and at times fearlessly drives to the hoop, where he can be out-sized by almost a foot. Every coach I talk to before games brings up Westwood’s defense. It’s unrelenting, it slows teams down and it even frustrates opposing stars at times, who are used to scoring at will. The Patriots will need that defense to step up in a big way on Wednesday. If the Patriots can keep the Wykons in the 40’s, they have a very good chance of winning. However, the offense will need to pick up in the playoffs. Westwood has only broken the 50-point mark in five of its 19 games, hence why the game needs to stay in the 40’s. The Patriots have been shooting the ball better as of late, but if they can do it on the road in the playoffs remains to be seen. For lightning to strike twice, they also would have to defeat one of the top teams in the UP in the district finals, if they can get there. Norway and Iron Mountain are the early matchup at West Iron County High School on Wednesday, and it’s a shame that one of the top five teams in the UP has to go home on night one. Such is life without seeding in the MHSAA playoffs. The Patriots are 0-4 against these two teams, but played Norway tight both times, losing by seven and nine points. 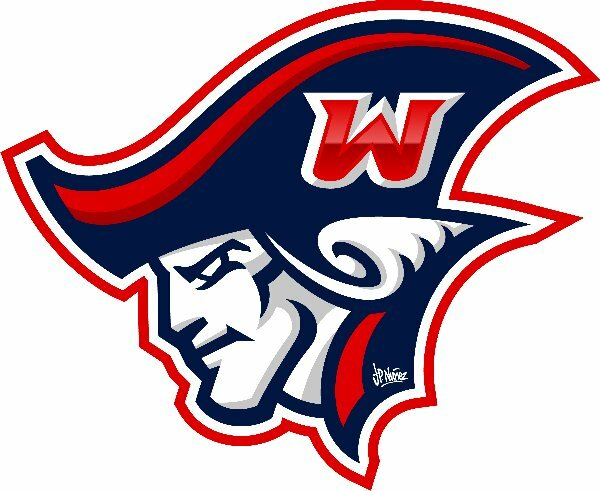 Iron Mountain and Carson Wonders were tougher for the Patriots, but the Patriots played a more competitive game at Westwood. The odds are slim that lightning will strike twice for the Patriots, but the odds were slim for last year’s team as well, and it turned out alright for them. Or so they tell me.